If I had to describe myself to someone who did not know me, one of the archetypes I would use is Seeker. My readers know that I write about Astrology and the Tarot. But I also explore different religious and spiritual disciplines. I have always been interested in subjects that used to be called Occult, then New Age, and now Metaphysical. But when I began writing, it was at the same time my husband and I joined a Metaphysical Society, so as I wrote, I was not only beginning a journey of writing. Many topics that drew my attention, or were discussed in our classes, were spiritual in nature, and I was off on a different journey of discovery as well. Now, this doesn’t mean I see myself as any kind of religious or spiritual guru, or that I’m any better or worse than anyone else. But when I study a subject and explore it, I do it with sincerity and an open mind. I had three bad experiences in the last two weeks with so called “spiritual” societies and a Reiki Healer/Witch, and I feel really unsettled about them. The only way I know how to process this is to write about them. I have written on my blog about the Celtic Spirituality lecture given at a Metaphysical store which shall remain nameless. I used to read Tarot out of this business, and my family spent a good amount of money there over the years. I was reading a book about Ireland, written by a woman named Patricia Monaghan. Although I had the date circled on the calendar, I didn’t realize the author was actually the writer of a book I was reading right then, and thought it was very serendipitous that I was going to meet her. She gave a very mediocre talk for about an hour, about a book that was ten years old. She did have a few interesting anecdotes, but didn’t put much effort into it. At the end, I asked her to sign the copy of the book she wrote, the copy I was reading. Since it was a free lecture, I bought another of her books and some incense, to support a local business, and went home. The next day I got a nasty email from the business owner. She is always angry about something, although she fancies herself to be a great Reiki healer and Witch. She’s a racist who still believes President Obama is a Muslim, and thinks the Hispanic business owners next door are using their business as a front for money laundering. She is very paranoid, and ruled by money. I got used to her rants when I read tarot there, but it got tiresome. She attacked me for “coming to a book signing and asking an author to sign a used book.” Now, I already had the book, and bought another from this author, which I later realized was twelve years old. This event was called a “spirituality lecture,” not a book signing. And normally aren’t book signings for new books? The lecture I got for bringing my own book to this affair, coupled with this woman’s often irrational behaviors, led me to tell her I no longer wished to read tarot out of her store, nor wanted to frequent the business at all. *As I read more of Patricia Monaghan's books, I began to appreciate her a lot. I have Irish heritage, and she had been to the country many times, so had a lot of information to share. Sadly, she passed away about two years ago. Last week I had the opportunity to be a vendor for a Spiritual Institute that is somewhat affiliated with the Metaphysical Center my husband and I belong to. I paid $150.00 for a table to read tarot and sell a book I had published. About three hours into it, nobody was coming to my table for readings. My husband went to look around. Apparently the people who were members of this Spiritual Institute and wanted tarot readings were being signed in at the door, and led to a private, quiet room to get their readings. I had to read in the large ballroom, but it was so loud to shout over the din, I lost my voice for two days. I am a soft spoken person. Plus it was not in the contract that non members would be treated any differently. I felt so disillusioned; I emailed the woman in charge of this event the next day. She apparently loves to play “spiritual oneupmanship”, because when I originally called her to set up my presence at this event, she was “in Sedona with her Shaman.” She has emailed me back eight times since I complained, telling me I maligned her Institute, and that I was not treated differently, a bald faced lie. What is it with some people? At the time of this writing she continues to email me, and I’m ignoring her. She led me to believe I would have customers to read for, when she knew ahead of time that all attendees wanting readings would be brought to another room. Is that not a lie? She cheated me out of $150.00 when she knew nobody would come into that main ballroom for a reading, that all the clients would be led to “her” people. This is not spiritual or ethical behavior. So what is going on with all these fakes who pretend to be spiritual people, then lie and do hurtful things to others? Three incidents of spiritual one-upmanship in two weeks really upset me, and all the negativity really drained my energy. To me, spirituality is how one relates to the people in their life, how they respect the environment, and how they deal with situations they find themselves in with manners, caring and grace. I feel I was badly treated at all three of these events, by people who pass themselves off as healers, as at one with the Universe, Pagans, Reiki therapists, psychics, and more. I would never treat anyone the way they treated me. True Seekers or Power and Money Hungry People? There were some attendees at the above event from the Metaphysical group where my husband and I take courses and attend lectures. We pay yearly dues, and attend various kinds of functions and classes regarding metaphysical issues, for sometimes rather large fees. I asked the woman in charge if I could read tarot at their Metaphysical fair next November. If you get a good crowd, readings cost $25.00 for 15 minutes, $50.00 for a half hour, and in this economy, it’s very welcome. Now this woman, I’ll call her Madame Ego, said, “Oh, I’ve heard your name often, it’s so nice to finally see your face.” I have met her at least five times. One of them was a Winter Solstice ceremony, where only twelve people were in attendance, and as my husband and I were the only couple, we must have stood out. We have taken numerous courses that she did not teach, but seems to have control issues, so she attends them to “check on” the other teachers. 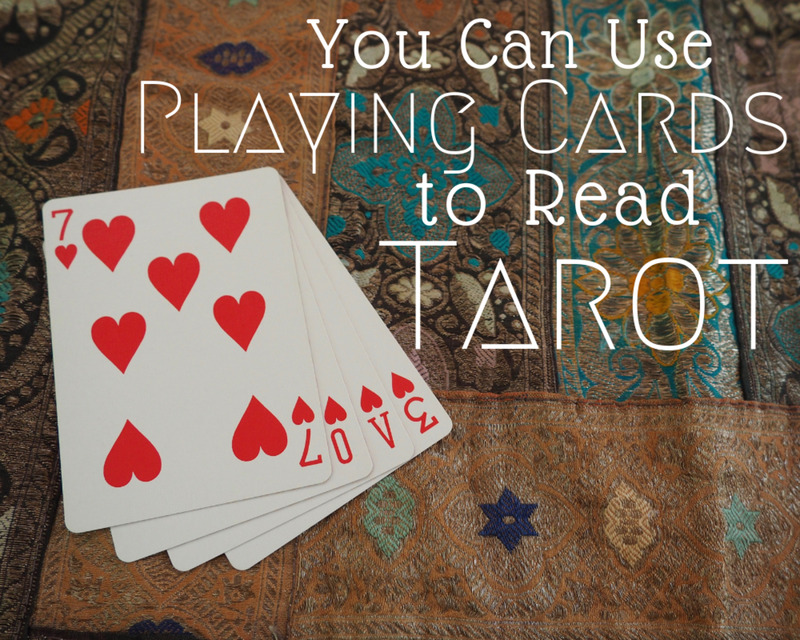 Since I read tarot and wrote my own instructional tarot book, I am very knowledgeable about this topic. She kept up the pretense that she never met me, and said, “Well, my regulars do the tarot readings. But if you were to give me a mini reading, so I could screen you, I might allow you to read if one of my readers was sick or had an emergency.” I was shocked and insulted. This Madame Ego is so stuck on herself, she’s pushing away new members with skills in metaphysical disciplines, and then complaining she gets no new members! How do these people sleep at night, acting haughty and above others, just because they run an organization? And sadly, they are the ones who push away the people searching for answers, or people who just have interests in the lectures they provide. As I mentioned in the beginning, I never said I was better than anyone else for learning about spiritual issues. I have always been pulled in that direction, and if I can use any of what I learned to help myself to be a better person, or anyone else, that makes me happy. The happy ending of this last event was meeting a Sufi Muslim woman selling tapestries at the table next to me. Her name is Maryam Kabeer Faye, and she wrote a fabulous book called Journey Through TenThousand Veils. She took a copy of my book, and I hers. Her story is amazing. But she made my day. Possibly my week. She told me she listened to my readings (I was shouting to be heard) and that when anyone stood up to leave, they looked calmer and happier. She was surrounded by an aura of serenity and had such love in her eyes. It was a joy just to speak to her. As we chatted, I told her my husband worked with many Muslim people, and how bad it was after 9/11. That people who were friends viewed each other with suspicion in a matter of hours. She smiled, and said, “Isn’t it sad Jean, that so many haven’t learned all that matters is love? You know the truth." "The light and love of God are shining so sweetly through your heart and your face. May your path and that of all who are travelling it with you be illuminated. It is with great joy and gratitude that I embrace you as a traveler on the Holy Path as a seeker.” I only knew her for a few hours, and she chose the same archetype as I chose for myself at the beginning of this piece! All of a sudden, I felt much better. She was there to make money (unfortunately we need it to live) selling her lovely tapestries and fabrics, just as we all had objects or skills to offer. But her words comforted me and I was able to see past the phony so called "spiritual" nonsense I had endured for the last few weeks. I feel hopeful once again that good triumphs over evil, and that some people are not just dabbling in metaphysical subjects to feel superior to others. Most beginners start out like that, but usually don't read for anyone except themselves or good friends, until they are sure of the cards meanings. 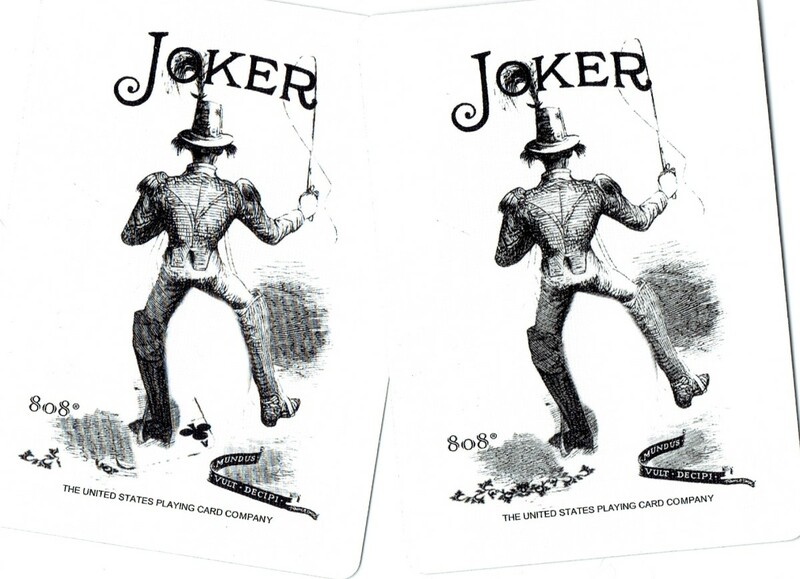 They also mean different things depending on what cards are around them, or what kind of reading you do. I recall an instance where in a reading, for each tarot card i turned the 'psychic' would read out the significance from a book. This was at the standard charge here in London town at £50 an hour. Hello, nice to see you limpet! You raise an excellent point that plagues people gifted in metaphysical arts. It's a problem when you try to mix money and the spiritual. Yet it takes many years of classes that are expensive to learn some of these things. My Astrology and Tarot reference books cost a small fortune, because back when I learned some of this stuff, there were no personal computers. A friend at a Center where I read and teach Tarot rents a building, and she has many types of healers there, and counselors. But they also paid for degrees. So she has rent to pay so she has a space for these people to be treated, and many expect and deserve to be paid for their services. I've left Tarot readings drained by people's problems if I read too many in a row. There are ways to clear yourself and energies. But I agree, the best is when you just meet someone, they tell you something, and it helps you. I read when I am at parties, for practice and for free, and am always mindful of the pitfalls here. I understand that recently some celebrity psychics have been exposed as phoney by a professional sceptic. In my rough shod experience the most accurate fortune tellers gave their predictions free of charge. Lets call her Ah Fah. Ah Fah a single Chinese woman working as a gardener informed me of some immediate occurance that came true. I was unable to thank her for that warning. Thank you for sharing your experiences with me, and for your inspiring attitude. 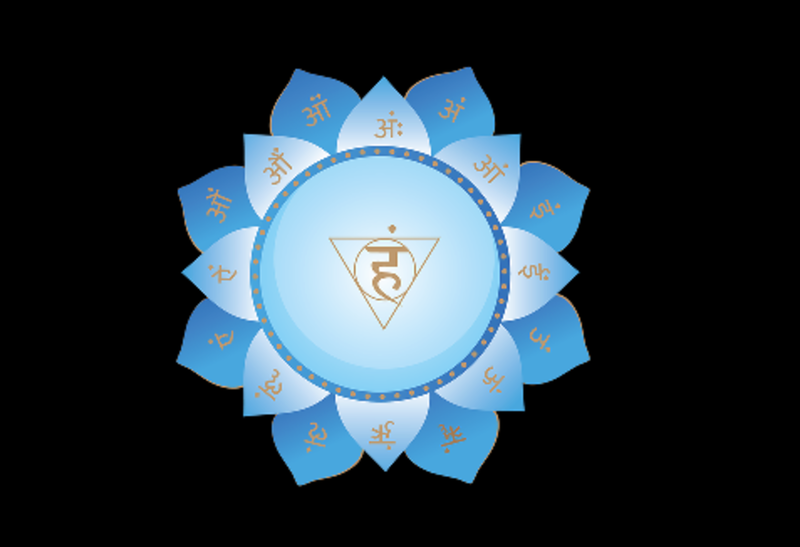 I have since had little to do with the Metaphysical Center, and found a group I like better, who are called The Healing Center. It seems fitting, as you said, because we are all suffering from the human condition. I found them when my husband of 34 yrs. passed on early this year, very suddenly. But the woman who owns this business is clairvoyant, and I am too, somewhat, and want to develop my abilities more. Many kinds of healing modalities are available, and many courses, so I feel like I've been embraced by a group of people who are trying to better themselves so they can help others too, the right reasons. Take care of yourself. For many years I have studied different disciplines and knowledge. I have travelled and lived in foreign countries. Your story is one that resonates with my own. People not only in your practice but in many seats of power, from the minuscule to the world powers in every discipline are and behave in the same fashion. God forbid you should insult or just disagree with one of these folks who know less about their duties, and will be compelled to use their position to inflict any damage to your life asvthey viciously can. Hard lesson learned but as always one of us who in a last ditch effort I ended being introduced to. Like an angel had the office with the view, heard my story and told me I could sleep that night. Even so he contacted me to ask for documentation to prove my story. The viciousness could not be satisfied so easily. Thanks to my prayers and dicipline of being thourough in my documentation I was able to provide the copies off all my transactions. My experience was a brutal attempt to rob me of everything I have worked for and thankfully there are others who like us just seek justice and a fair treatment. But unfortunately we come in contact with these detached personalities who are there as a tool and a hurdle for us to become aware that this experience is real. And that only a few realize where the real front of the battle is. I am careful to choose my battles and avoid them like onions. :) I was thought to treat people like we would a patient at a hospital. Because to some degree we are all suffering from the human condition. We are growing side by side, like plants. We must learn how to look straight without eye contact. Assimilate, be professional and try to pray for the sick and those with problems. Some of us were aware, some of us suffer, some live in perpetual bliss. We can change ourselves in order to change the world. I pray that you and your loved ones are peaceful joyful and appreciate the fruits that are provided and we help nourish to keep us healthy and strong. May we be grateful always. I can understand wanting to contact your dearly departed, I am currently in that clairvoyant and intuition class, because I have visions of what will happen in the future, and want to develop it more. Being in a room full of clairvoyant people is tricky though, they all have messages from my husband. I know people think it's BS, but some of them have been so accurate, and I didn't meet any of these people until after he passed. They never knew him, and I needed to begin doing things to pass the time as my life changed so much. At the time he "speaks" to me it feels good, and the messages always make sense in context of what our life together was like. But then later, when I think about it more, sometimes it hurts more. The people are nice, and it's a Healing Center, so when this course is over I want to continue, but am unsure what direction I want to go in. They offer all kinds of healing techniques. They have a tarot reader, but I don't think they have an Astrologer. I basically teach Astrology, and the owner thinks it's my path now to teach. We'll see. Thanks for all the interesting info you are sharing with me, I enjoy it. i don't want to dwell too much on the commemoration of outbreak of the Great War (we should be remembering when it ended) but i still have the pocket bible my grandfather was given before being sent to the western front. Philanthropic organisations issued these pocket bibles free of charge at embarkation points and soon became popular with the public becaause of the high incidence of them being able to stop a bullet lessening the chance of dying. With such tragic losses of life in numerous campaigns, grieving relatives turned to psychic mediums to contact their dearly departed. An industry in this flourished. I'll watch out for strangers bearing heather then! at one tyme when we were plagued by bogus beggers i was accosted on the concourse at Victoria mainline station and offered a sprig of heather. This reminded me of once flying into Honolulu where the local chamber of commerce had ladies placing a lei around passengers sinifyng a 'welcome' and i assumed the heather was a similar greeting, alas it's a ploy to hand over money. Surprisingly some of them do actually have a psychic ability. Happy Summer Solstice limpet! It's a beautiful, finally warm day in New Jersey today too. We had the coldest and snowiest winter I can recall in my life, the rainiest Spring, and it's been unusually cool for this time of year. So it's great the weather is starting to feel somewhat normal. Perfect for that ale. here i am stuck in olde London towne on the warmest day this year. Yes, you have to be very careful about readings and getting ripped off. If the person is at a metaphysical fair and with an organization, you are safe, since the person had to prove to them they could read and are only allowed to charge a flat fee, usually to be split with the organization. I often read at parties since I don't drink, it gives me something to do and I learn a lot that way. Most readers are experts at body language, so if you want to get a fair reading, don't reveal too much about yourself without realizing you are being prodded to do so. 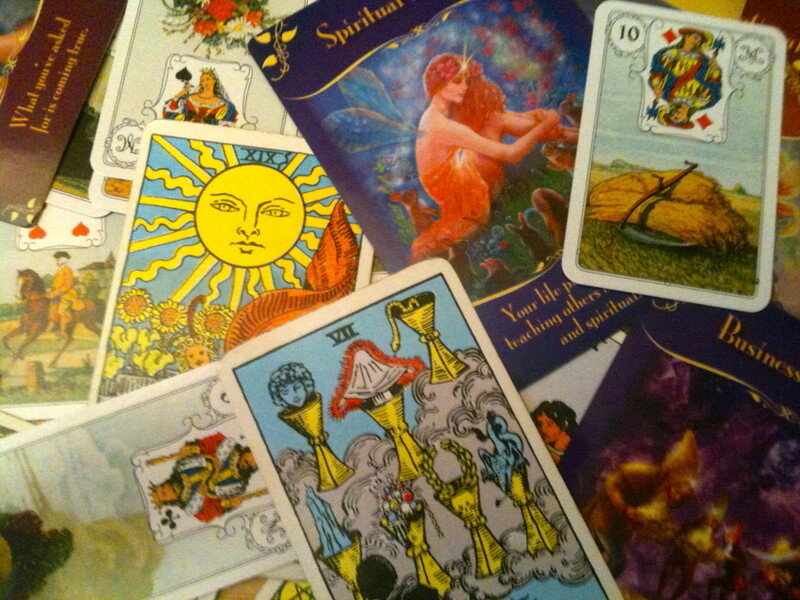 A good reader will just look at the cards, chart, or even close their eyes if it's a clairvoyant reader. If they keep looking at you for approval, you know they don't know what they are doing. Now, sometimes, the reading sounds way off, and a few months later it's spot on, so you can never be 100% positive. Use your intuition. As far as money, there should always be a set fee at the start, and that doesn't go up "so I can tell you more.." It's different if you keep ordering readings and go back. 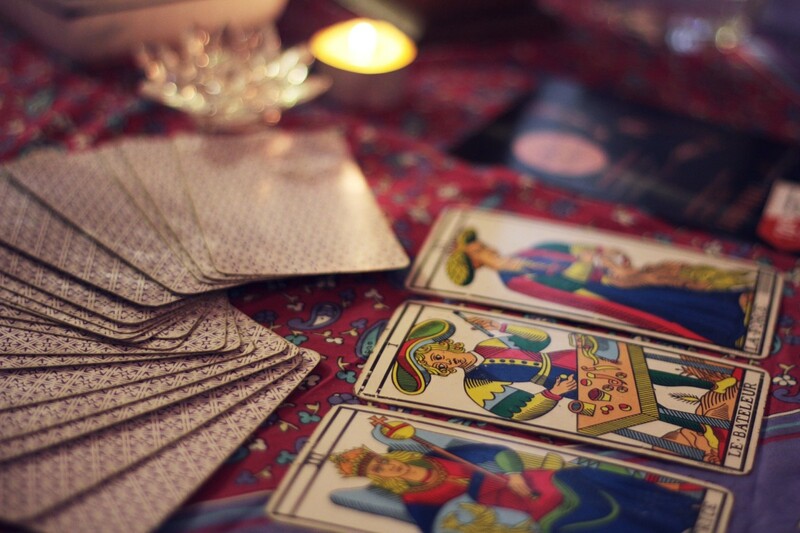 I didn't want to do online tarot readings at first, but was surprised at how good they were. Since I have to do the reading and it takes time before I can write about it to the person, it gives me more time to think about it. I get comments like, "I didn't know you could get so much out of a tarot reading." So that's been working well. As far as Astrology, it's a chart about your whole life and all the areas involved in it. I think of it as a psychological profile. But some only want to hear about "soulmates." One woman just wrote me about changing citizenship between two corrupt countries, and I had to tell her she needed a lawyer, not an astrologer. A reading can only do so much! When i visited New Orleans i had a reading done in one of those garden enclosures on Bourbon Street. Just a superficial reading for a nominal fee and on completion the reader offered me my birth chart for $50. I said i'd think about it and come back. I did come back at closing tyme and gave her the money and her boyfriend arrived and both appeared to say 'thank you sucker'. Lo and behold a few days later a package arrived for me while i was in L.A. containg birthchart, seven pages of esoteric work and a bottle of lavender oil. The next time i visited 'the states' i landed in Chicago. Whist ther a Romany gypsey wanted to tell my fortune. but i declined She knew how much money i brought with me and if i parted with it that would ensure my love life and protect me. I didn't fall for that but when arriving in L.A. i noticed a lot of shopfronts on Sunset Boulevard with the same smooth operators. In my area, people involved in these disciplines go both ways. Some are in it because they care about the Earth, and want to use their gifts to help other people in whatever way they can. Some want to feel important and get attention, or make money, and that gets hard when you find an organization you are in is filled with people like that. I take money for readings too, but I don't charge a lot, and once I get into that kind of relationship with someone, will keep reading until I find some kind of resolution or help for the person, whether they can pay me or not. Many don't understand the years of study, the costs of workshops, textbooks, and oils, incense, and all the trappings that go with many of these kind of studies. I understand that, but when too many of them want something for nothing, or get offended when there is a fee, it's hard to deal with. Then there are the ones that have problems that an Astrology chart or Tarot reading won't help. They need a lawyer or a therapist. I've written about ethics somewhere, but don't recall a larger article on it. Hmm.. you've given me an idea. I want to begin writing again, it's the plagiarism that stopped me lately. I've written on other sites and have the blog, but really it's hard to get traffic to it, and although it's waned here, it's still better than any other site I've been on. Take care. The first practising Wyche that i came in contact with was intitially quite accepting of me but Her paramour who had lesser powers started doing psychic intimidation on me (a cold fear). I was accepted for membership with the Rosicrucians but didn't follow this up. I applied to join the (lets call them a society of inner light) but the afor mentioned Lady told me i'd regret it some day. So here we are! A few years ago i attended as a visitor at at meeting hall an 'open house' to listen to the tennants that gather on different tymes. Among them Quakers, Yogies, Sufies and pacifists. Guess what? They all have the same hopes and aspirations. Thanks for your insightful comments! At the time I wrote this, other Astrologer friends asked me to look at my Pluto/Moon transits, because it was mostly power struggles with other women, and I usually get along well with people, being a gentle Cancer. It's funny how we notice what's happening with others, and don't always look at our own transits. I had Pluto conjunct Moon, and it was hard. It's coming to my ascendent and Saturn in the next year +, so the fun isn't stopping yet. I did learn that it's not so good to mix money and spirituality. It was also shortly after that I spent the year making my blog and getting content on it, and I love it! I'm casting charts for money, but doing it myself without software, and as you know, it takes time, but it's usually a nicer, personal reading. I went to this year's Metaphysical fair, but just as a guest to buy Christmas gifts, not as a reader. They seem like many of them are older and resistant to new people. I will still take courses there with my husband though, but I want to limit my involvement. I stopped frequenting the store I used to read tarot out of. All the owner cared about was money. I understand the economy is bad, but she seemed jealous as people were asking for me personally for tarot readings, and that incident about the "Celtic Spirituality" event where I asked the speaker to sign the book I was reading at the time was the last straw. I spent money and bought another book. Some people are too vexing. I've been reading about Zen, and like the saying, "The obstacle is the path." It proves what you first said! Thanks for visiting! Take care. My wife and I run a spiritual center so we could spend a lot of time swapping stories about people on ego trips and their conceptions and misconceptions of what is right and wrong. I agree with @Angie Jardine that everything in life crosses our path to teach us a lesson. The harder it is to walk through the bigger and better the lesson. It may be that this happening is what you needed to push you into doing what you need and were meant to do. It has you working on your website and asking questions on what to do. That is always a good thing. So I will be interested to hear how this happening changes things in you and your journey. I know wonderful learning and blessings are coming from this. Thanks. We have a lot to be thankful this Thanksgiving. My family is small and my only son is a vegetarian, so I'm not even doing a turkey. The long weekend is nice, and it's his B-day during it. Have a nice holiday! I'm OK. This is the 3rd such power failure I've been through in the last year. We had a storm last Oct. during the same week. But it was much colder this time, and the Hurricane did a lot of damage. I don't think people realize how bad it was, and although we suffered for 7 days, some people are still w/o power. South Jersey got all the attention, but the storm displaced many North Jersey people, and New York people too. I do feel very drained, fighting off the cold seemed to take something out of me, but I'm taking vitamins, and getting the house back in order. At least we had no damage to ourselves, house and cars. It is hard to overcome these outages as they happen more often, and I am considering whether we may want to sell our house down the road. I like the woods, but am not as young as I once was. Thanks for your concern. Take care. I am still searching because I can't find logic in any religion either. And when it comes to Politics, it shouldn't involve religion in the U.S., lunatics are trying to deny that the world is older than 6,000, have no belief in evolution, and don't believe the climate is changing. I just went for 8 days of darkness, cold, no hot water and ruined food due to Hurricane Sandy, and climate change is no longer possible to deny, though crazies will. I waver and believe there is a positive energy, but not really a being in the sky we need to please, so Buddhism and Zen are interesting to me right now. I'm still seeking, and like to study and learn about religions. So far I haven't found anything I can believe, though Buddhism is just a way of behavior. I try to get along with people of all views, and did not mean to offend you in any way. There are other atheistchicks on here. I don't think the comments left were by you. I respect your choice, and know that Atheisim is a religion too. Take care. I try to respect everyone's beliefs, whether I believe them or not, philosophies and religions interest me. That doesn't mean I have an emotional attachment to any of them. Please do not insult any of my readers, though I respect your position. I am a little confused, I got two vile comments yesterday by someone who I think used your name? I didn't think it was you, so didn't report it. I'm waiting to see if anything else appears. dear jean,I like your writing and your topics. I have plan to read your other work also.may GOD bless you.take care. I love your writing and have plane to read your other work also.may GOD bless you.you are very true person I wish I could sea you and have a face to face conversation.take care. It's nice to see you again. Thank you for reading my work. I was surprised by the reaction to this one, although I know many people are fooled by those who use these disciplines and either get too egotistical or try to fool others. Take care. beautiful analysis of so called spiritual persons and a real one. I like your honesty of telling truth.there are so many people filled with pride and ego and telling others that they are spiritual healer,may GOD show them right path and let then know their internal negative energy. very nice hub,voting up and sharing. After just putting one through college, we have to start getting more serious about watching where the money goes, especially in these times when there seems to be less of it. Like I said it is a matter of balance. I know of people went bankrupt through excess focus on the spiritual. There is much to be said for remaining about 50% bigger than you need to survive and put aside money for retirement. The 50% allows ( hopefully) for the effect of recession. I like your "ruthless business strategy" softened by whatever the circumstances are. I've tried a few solar charts, or just answering one question type things, and got paid thru PayPal, and they went well. I'm not so techie, I'm not sure I could do Skype. I am sure I am going to start something with Astrology, I've just been busy lately writing on other sites. I'll decide about the tarot later. Many people in the field I respect do online readings. Many people seem to prefer the Chinese Astrology. I never explored it, I'm doing what I learned long ago. Thank you for your ideas, though, keep in touch and take care. I'm sorry your fiancé has had negative experiences simillar to mine. I had some Pluto/Venus transit going on, and all my problems were with women. My aspects are good ones though, and normally I am easy going. That's why I was so shocked and hurt. It's a field where you get a lot of people who are in it for the money, or for their egos. I actually like cold readings, it's more fun. I have concerns about the people who "hang on" forever and think you owe them answers to every question they have for years. So I will be adopting Alex K's strategy above, which also may work for your finace. I will check out his site. I know it gets discouraging, but then you get that one reading or horoscope where you can tell somebody something either they didn't know, or offer a suggestion they never thought of, and it feels so good! I wish him success. Thanks for writing and commenting. It's a tough place to be. My own fiancé has issues with local businessmen when he is doing readings or setting up booths. He was told he would have a spot and had the money ready to reserve his spot, but then he was told that they had filled all the tables for readings even though he had called long before the event and had asked for a spot. The others didn't even register until a week after he did. He was given the boot because he is a younger man and not as well known as some of the others. Yet, most of the others didn't even bother showing up to the event at all. It was a huge waste. He has a website where he does cold readings and things like that. 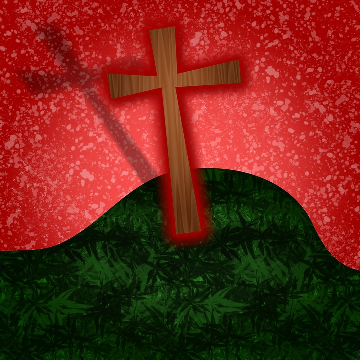 http://commonfaith.weebly.com/ Feel free to check it out. I think one answer is to write the "ruthless business strategy" inspired by the people you mention then soften it bearing in mind that sometimes giving leads to receiving in the long run. Personally I prefer runes and Chinese Astrology to Western Astrology and have experimented with making my own oracle. I think the oracle is a way of letting the user release their own powers. I wonder if a reading over Skype would work. You hit the nail on the head. I have health issues, and can't work a "traditional" job because I can't be reliable. So it makes sense to try to make money from what I know, and from home. But the balance is a tricky one, and I'm trying to decide if and how I want to work that out. A person can be guided by Astrology or the tarot, but ultimately they are just suggestions based on your stars at birth, where they are now (transits) and for tarot what the more pressing issues are at the time of the reading. That's like the old "ink blot" test, as sometimes the person getting the reading takes over and sees different things in the cards. I don't like tarot online or phone, I believe the person should be present, so that's an issue. Astrology is based on where the person was born, and is their blueprint for life, as long as the client understands they always have free will. Thanks for reading and commenting. Take care. Interesting set of experiences. It seems very easy for the business aspect to take over the spiritual aspect and for people to start empire building. But as someone here said, this is true for all religions/belief systems. Unfortunately the customers cannot distinguish the egoists. If you ignore money the business will fail fast. If you think only of money it will fail slowly. A balance needs to be struck. One is always walking a tightrope. Inevitably many will fall off. Thanks for reading and commenting. I am seriously trying to decide where my next step is--well, besides writing. The Muslim Lady had a profound effect on me, and her book was wonderful, I will be reviewing it. She began her spiritual journey in college, but never expected it to take her to Islam. She's very open minded about all religions, and I want others to hear her story. Take care. What a touching true story. I too am a reader of regular cards, and I really believe the reason why I have restricted my practice to family & friends is fear of these hurtful thieving people. The Muslim Lady sounds like a breath of fresh air... Thanx & Be Blessed! Take care of yourself, that cough seems to be hanging on a long time, OK? You did but I only heard of the stall owner who was mean. And I heard of those Astrology troubles too :) But I didn't know about the 2 fairs which you were cheated on! I will write you soon, I am still nursing a cough...SIGH. Take care for the meantime! I'm sorry, I thought I told you about the bad experiences I had. That's one reason I'm taking the month to decide if I want to offer horoscopes for money on my blog. Besides all that happened that I describe here, I'm flooded with emails everyday, from people who just give me a Sunsign, and say stuff like, "My life is falling apart, can you help me?" I've written a hub and a piece on my blog about what Astrology can and can't do. I never said I was a self help guru, and although I love and know Astrology, am afraid even if I do offer horoscopes for a price, I have to make sure people understand it's a one shot thing. They can ask questions once, but I'm not their psychotherapist. I just finished a bunch of questions yesterday and I'm finally free to write again. Just offering to answer one question brought so much email I couldn't keep up. So I'm taking this decision really seriously. It's actually made me sick, and it hogs up my time so I can't write. I'm trying to write in 3 places, and if I do horoscopes, there must be very clear boundaries. I thought I told you all this was happening. I hope things are better by you, though I'm feeling better now. I have a program, but haven't even had time to check it out. Getting used to the new car :) Take care. Meantime get better, take MORE rest please, SLEEP MORE, relax a little MORE. Hear soon! This all sounds very familiar, Jean. Sadly, there will always be spiritual fakes, I have known many in my time working in complementary health. Ego is a hard thing to tame and unfortunately many of them are not even aware that they should be trying to let it go. I was very interested in metaphysical issues once but I withdrew from all the fairs etc. as it seemed too false an environment. I preferred to work on my own and it worked very well. In metaphysics we are taught that everything we meet in life is some sort of lesson, we attract things that will help us grow spiritually ... if we are open to the message. Perhaps these unpleasant people were some sort of lesson? Even if you don't know what the lesson was on a conscious level, maybe your subconscious knows and the lesson has been learnt? Maybe they were sent as a contrast to Maryam - to make her stand out - to make you turn to her in relief? You seem to exude a confidence in your knowledge and skill here on hubpages and I wonder if for some reason or another, in the presence of these so called "powerful" people, big wigs (really fake) you held back your energy and allowed their despising energy to impact you and actually hurt you. I keep experimenting myself in keeping my wonderful energy out there at those times when I tend to "bow" before someone I hold up as more seasoned than myself or more whatever. When I keep myself connected to my strengths and what I have to offer, it seems that the narcissistic folks either shy away or stop acting out! Just some thoughts. I enjoyed your sharing of your experience with the Sufi Muslim woman and your awareness of how you have previously thought of Muslim women. I want to keep growing in awareness of how I see other people who are different from me especially in my short sightedness. I think that is a gift that folks like us can bring to the world. Well, I'm glad your day at the metaphysical fair ended on such a positive note and that you had the opportunity to meet and chat with Maryam. People on the planet are at many stages in their spiritual development; some have learned and express more than others. And many people who call themselves spiritual have a lot of spiritual development to do. I think the more you let these people upset you, the more of them you will attract into your experience. It's great that you have able to get these experiences off your chest. Now hold Maryam's positive energy in your mind and heart and you will attract more people like her. Thanks for sharing your thoughts with me. I'm feeling better, and glad I wrote, that's how I get stuff out of my system. You are most kind, and dare I say, Spiritual? I agree that I am one of those who would always do something for someone else before I would for myself, even if it hurt me. It's just who I am. I just finished the horoscopes and readings I was already booked to do. I am taking a month to consider my course. I wrote many articles for astrology, but to teach people how to do it themselves. I got flooded with requests, and it's been very negative. Not so much the people online, but that is taking me away from my true love, writing. So I need to ponder. But I think once money comes into it, it all changes. It's not called "the root of all evil" for nothing. Thanks for the comments, I was unaware others were having so many experiences like me. Steph, have you read author Caroline Myss? Her Anatomy of the Spirit is great for a healer. The Sacred Contract has you choose 12 archetpypes explaining who you are, 4 we all have. It was very enlighening for me. She even has the cards, they are on my blog. I took a hard look at myself, and it was interesting! Check her out if you have time. Wonderful Hub! This is a hard topic to write about since so many are insincere and then there are also those, like yourself, who don't do it for the money, mainly for the positive influence or impact that it has on others. 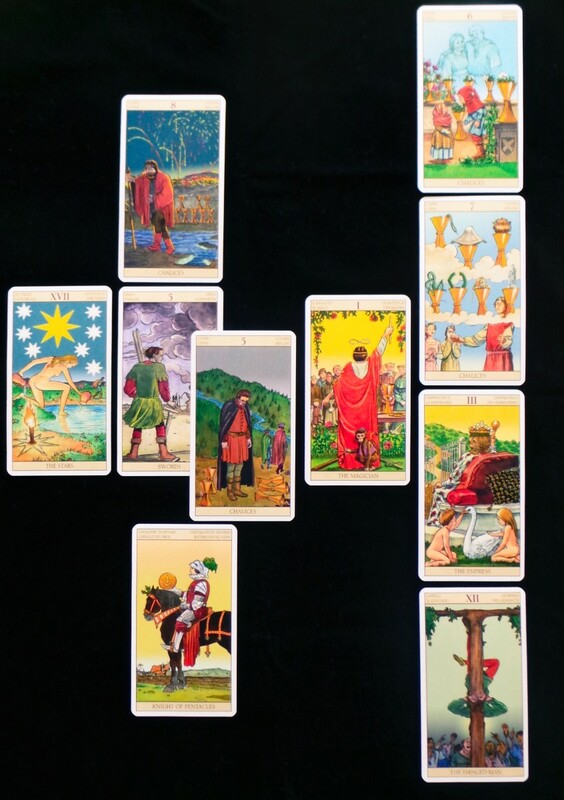 Ultimately others looking to readings for advice(in my experiences) only need to stop and think about their situation, and the probable outcomes and what they will or will not choose, although many things are hidden, even from the cards. I too have had more than one negative experience with those that claim to be "spiritual", not only in the Wiccan or metaphysical faith but in all faiths. I am a seeker, like you, searching for what is real, loving and connecting with everything around us and gaining a real appreciation. Money clouds what may have been a spiritual person and makes them see only through clouded glasses. I am a Reiki healer and I have decided that doing it for free and only by those that request it are how I spread this gift. Greed seems to wreck all of these gifts of love, because the ego becomes involved. Anyway, I hope that you have more positive experiences in your future endeavors seeking and that light and love surround you. You seem like such a sincere and wonderful person. Good luck to you! It’s such a pity that people are still using spirituality to better themselves egotistically, financially & so on with little thought of others. The churches & sects have been doing this for centuries & it’s still going on, I get quite upset when these so called spiritual people use spirituality for their own designs. Try not to let them upset you as they are just little people, they know not what they do, really!! I joined a Noetic site & what an eye opener that was, egos flying everywhere from so called spiritual/science oriented people, I didn’t last long as to them all learning comes from books & lectures/workshops & not from experiences & interstellar spiritual knowing. It was all based on how clever you are in limited human knowledge, if only they knew how limited our human knowledge really is. Not too recently I was debating with some so called spiritually minded people on manifesting, they believed in manifesting for one’s own desires is spiritual but I begged to differ, a true spiritualist will manifest for others first & foremost & never for one’s own lustful pleasures but they couldn’t see that. Thanks!I want to do it. It's just that I began my own blog and just launched it one month ago, I barely had time to get much content on it. If you go ahead, make strict rules. Rule 1.The biggest problem is teens and women in their early 20's, who often fall in love with a guy who really isn't interested in them. You don't have to be an astrologer to see this, but for some reason they do. Rule 2--If you provide the reading and interpret the chart, give them one opportunity to ask questions. It isn't a lifetime ticket for them to bother you with questions every time one pops into their head for the rest of your life! I'm just finishing a horoscope now, and am taking a few weeks off. I have no writing time. So be careful. Keep me posted! Good luck. Stay with the creative path. I worked for accounting firms and banks for years, it's positively soul numbing. Your garden is nice. I used The Queen of Cups tarot card for a long time. I always close my eyes when somebody takes my picture, unless they "trick" me. I was happy and in Jamaica in the one here. Some sites were saying it was more professional than having an avatar, but I like the avatars. I guess it shouldn't surprise us at a certain age that many people are in these fields to make money and feed their egos, but it still hurts, doesn't it? I re-read your profile, and The Road Not Taken by Robert Frost is one of my favorite poems. I've always been a nonconformist too! Take care, Jean PS It is hard to get a picture you like! I am terribly sorry to hear of this false spiritual experience. I have met people like this, not quiet as high on themselves, and I too would never do that to anyone. Thank you so much for your comments! I have been doing astrology for 35 yrs. I don't feel bad about charging for tarot readings, because it's a quick, one time thing. I think online or phone readings are BS, there's no exchange of energy or vibrations. But normally I am easy to get along with, and feel so bewildered by all this negativity in two weeks. The New organization had the worst negative energy. The store owner never liked me (I felt that) but when she asked the clients how they liked the readings, they were so profuse in their happiness about them, she was sort of stuck with me, until our last "spiritual" event. She sounds like your nameless person, and it got to the point I would just sit and read between clients, I didn't even want to hear her rants. It's probably too personal for HP, but I had to get it out of my system. I will take it down in a few days, but thanks for the input, I needed it. Wow, great hub! Thank you for tackling a topic that many people shy away from. In all honesty, I am still sorting through this myself. I don't do readings for money for all the reasons you list here and because it seems to just lead into so much negative energy, and I don't want to deal with that right now. So I just write. One person in my extended family (who shall remain nameless of course) fancies herself a great healer and does Reiki and reflexology for a fee at a local New Age alternative healing center. She has screamed at family members who declined her help, "#&!# I TOLD YOU I HAVE @%$!ING HEALING ENERGY *&! @" It would be funny if it weren't true. Anyone who sits next to her immediately starts looking around for an escape. The toxicity just fills a room. And she's a healer. Right. It's too bad, but she is not usual in the field at all. I don't have any answers for you, except that yes, there ARE truly radiant people around, but they are few and far between. I think anyone getting into Tarot or psychic readings really, really, really needs to learn protection and positive intent skills before reaching out, and that's not easy. It's too bad but it is what it is I guess. Thanks again. Looking forward to reading more of your hubs.